Above– And look at the places they have been. 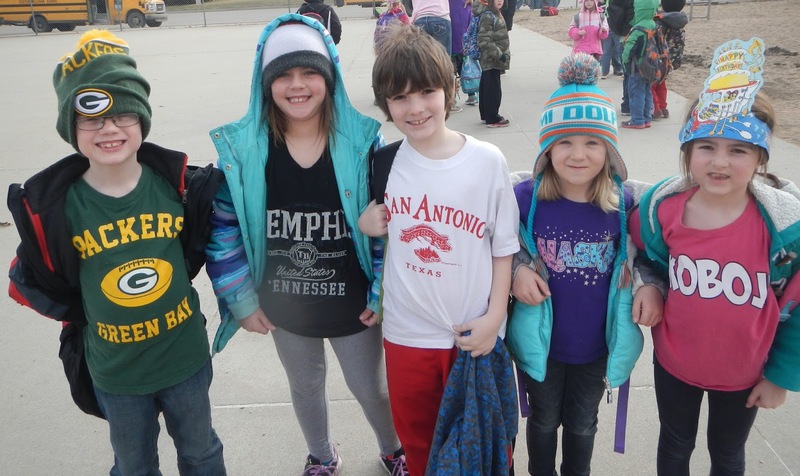 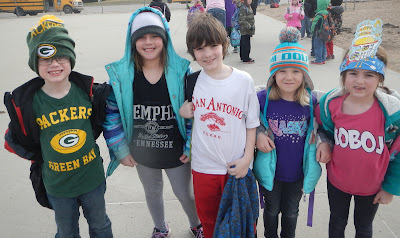 From the left, Brett Kallhoff, Alexis Saatmann, Jonah Geiger, Cheyenne Krupicka and Kaylie Schlueter all show their vacation themed shirts for “Oh, the Places You’ll Go” day at Exeter-Milligan elementary school. 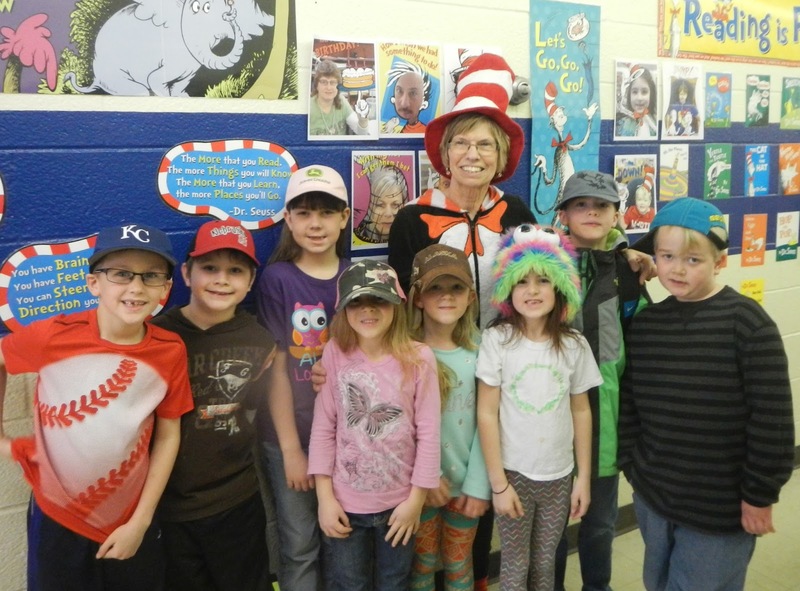 Below – First graders at Exeter-Milligan, along with their teacher Mrs. Sharon Lott, all mimicked “Cat in a Hat” and wore a hat to school. 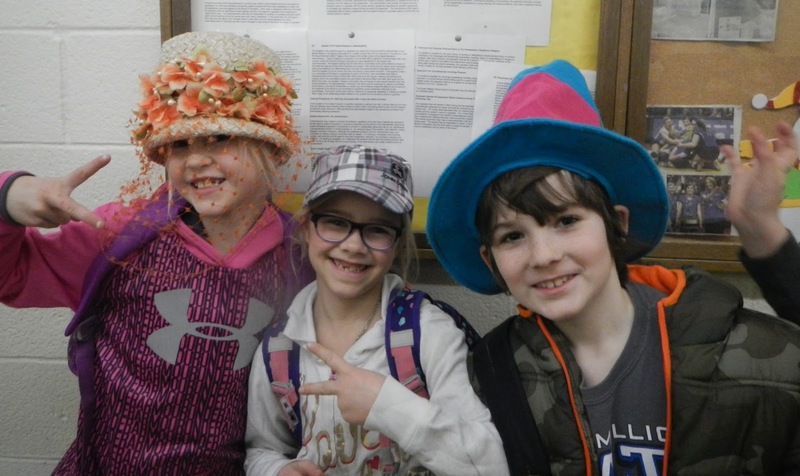 Pictured from the left are: Adrien Mueller, R.J. Clevenger, Brooklyn Oldehoeft, Sydney Engert, Cheyenne Krupicka, Sharon Lott, Kaylie Schlueter, Truman Milton and Logan Johnson. Above – Kiley Oldehoeft, left, and Kaydence Haase are stylin’ in their hats for “Cat in the Hat” day at Exeter-Milligan. 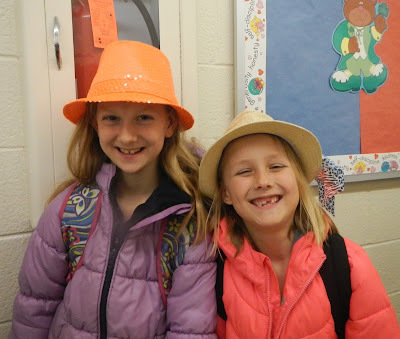 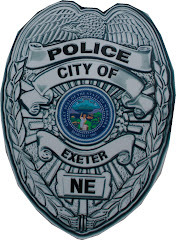 Below – Quite the variety of hats came out for “Cat in the Hat” day at Exeter-Milligan. From the left wearing their unique hats are Alexis Bendig, Selah Petersen and Jonah Geiger. 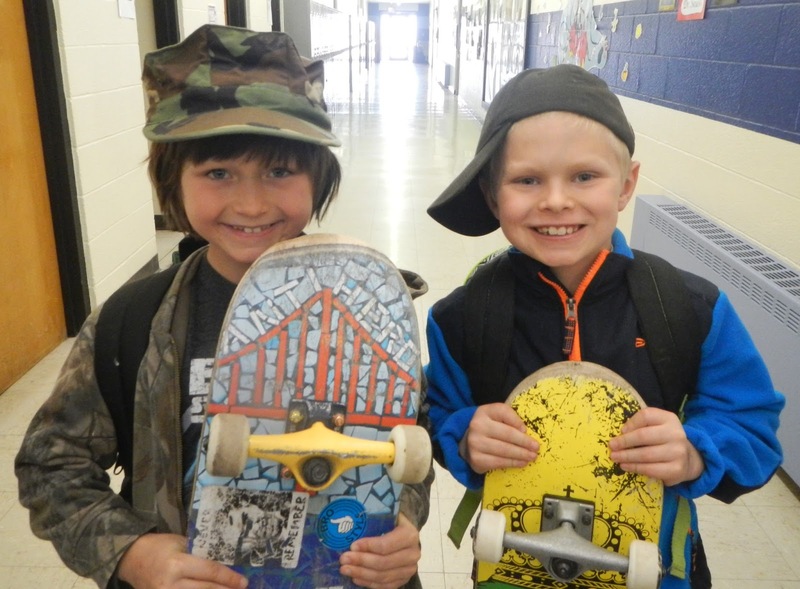 Sportin’ their boards and the skateboarding style for “Cat in the Hat” day are Carver Kanode (left) and Avery Nichols.